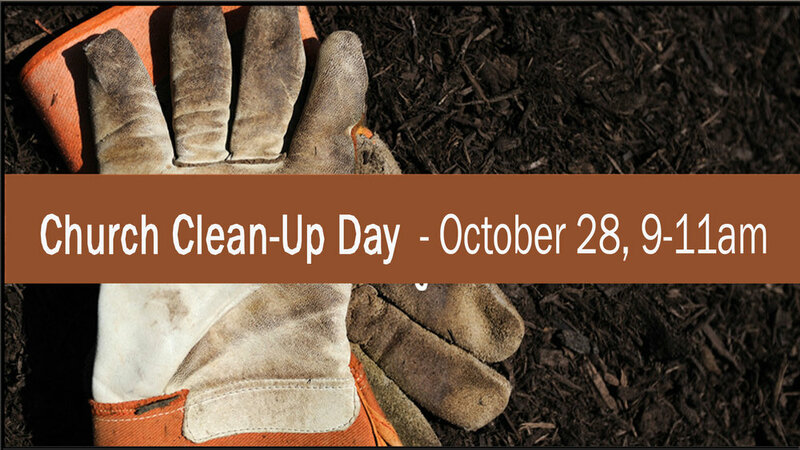 Join us October 28th, from 9-11am, to beautify our property inside and out. We will work on landscaping, cleaning the grounds, weeding, pruning and outside maintenance. Inside we'll wash down things in the sanctuary, windows and kitchen. Whatever your skill, inside or out, we'd love to have your help.